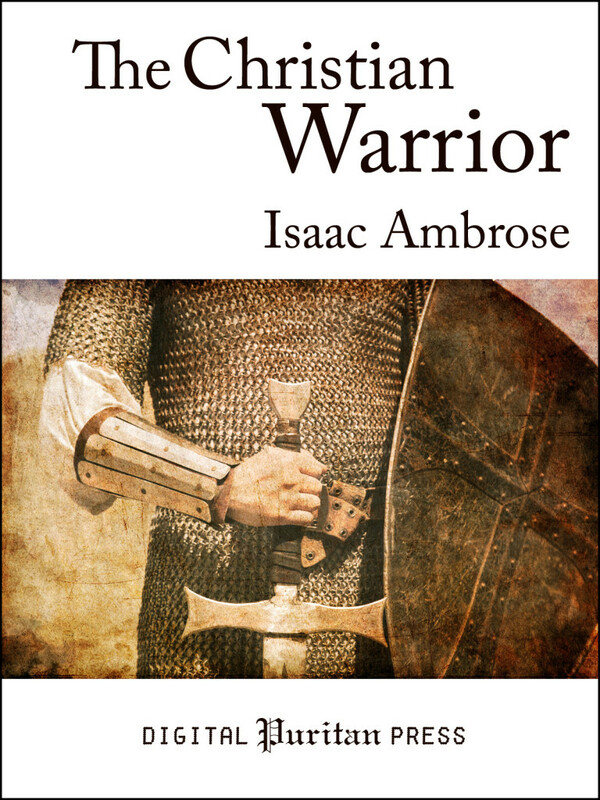 In The Christian Warrior, Isaac Ambrose provides armament and strategy to fight our tireless adversary, the devil. He begins by showing, from Ephesians 6:12, how all God’s people are warriors engaged in a battle, that our enemy is both powerful and malicious, and that we must wrestle and strive hard against him. He then gives specific examples of how Satan attacks us at different stages of life: in childhood, at our first conversion, during the prime of life, and at the time of death. Ambrose gives practical, point-by-point advice throughout the book on how to cope with these attacks. He illustrates how Satan attempts to foil the believer coming to Christ at each stage of his conversion. He then shows how Satan tries to convince the doubting believer that his conversion is not genuine, and how to answer those arguments. He continues by showing how to endure persecution, how to resist temptations of the flesh (lust, pride, anger, condemning others, dishonest gain), and how Satan attempts to exploit the special vulnerabilities of both weak and strong Christians. He concludes by preparing the believer for “the final battle” in the hour of his death (which is often his most intense time of attack), by illustrating how to avoid the extremes of presumption and despair. Even readers not accustomed to Puritan works will find Ambrose’s warm and engaging style both eminently useful and Christ-exalting. Much more than a copy-paste-publish e-book, this Digital Puritan Press reprint has been carefully edited from the original texts. The more difficult language has been smoothed out to make it more accessible to the modern reader. In the digital edition, every Scripture reference hyperlinked as an endnote in the ESV version (no internet connection is needed). The print edition includes a Scripture index and glossary. Both include a helpful biographical preface to the life and times of the author.